If, like me, you’ve been using essential oils for decades, you’ve probably owned an essential oil burner of some kind at some point. I certainly did, as far back as the late eighties and early nineties. I placed a tiny tea light candle in a little ceramic burner (which cost me next to nothing, as I remember), put a few drops of oil on the plate and burned away. I don’t any more. Today my home is full of the aroma of wonderful essential oils without the smoke. I use an essential oil diffuser, and I strongly recommend you do too. Here’s why. Even though people have been using this method for eons, if not done properly it’s actually potentially damaging to your oils. Heat can literally burn the oils, especially if you use a candle that’s a little too big for your burner. This will also cause the oils to ‘burn off’ too quickly, wasting some of the beneficial aromas. Essential oils in burners can, occasionally, catch fire. This risk is exacerbated by incorrect burning (such as the 'big candle, small burner' problem described above). Plus candles in general can be dangerous, depending on your home and who’s in it. I scoffed at people who worried about candles as fire hazards before I had small, curious children and a big waggy-tailed dog. Now, I totally get it. 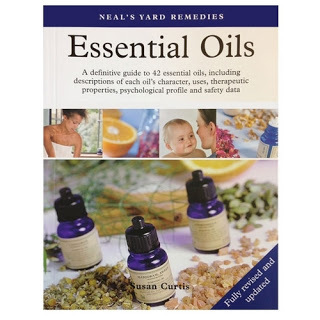 According to Dr David Stewart, author of The Chemistry of Essential Oils Made Simple: God's Love Manifest in Molecules, (don't be put off by the title, it's an interesting explanation of how and why essential oils work) burning actually affects the way the oils break down. The heat causes the most volatile compounds in the oil to be dispersed first. Then the heavier molecules are activated. 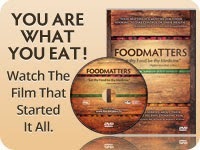 That means the natural balance of your oils is being disturbed. If I were burning any candles in my home now, I would stick to all-natural soy candles. Yes, they’re more expensive, but so much better for your home and everyone in it (plus they actually burn for longer, so aren’t, in the long term, bad value). I got over this a long time ago, when my first student dwelling actually developed black, smokey hot-spots all over the ceilings where I’d burned candles constantly. I even briefly made my own candles to ensure all natural ingredients. These days I’m a busy mum with two businesses to run and my home is full of lovely, healthy, safe essential oil aromas, due to my diffuser. If you’re new to the concept, essential oil diffusers are electrical appliances that work by putting a few drops of essential oil into a small water tank so the aroma can be safely diffused into the air. They’ve been around for a while but they’re becoming hugely popular with aromatherapy enthusiasts who want a cleaner, safer way to use their oils. 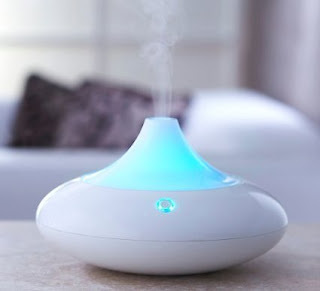 I use the Soto Aroma Diffuser (pictured above) which is actually so much more than a diffuser. It acts as a mini humidifier, and has a beautiful color changing mood lighting feature (which can of course be turned off for restful sleep). Yes, you can go to sleep with your Soto diffuser still working. It has an auto-shutoff that activates when the water/oil chamber is empty. (Don’t try this with candles, folks). If you’re getting serious about essential oils, or you know someone who is, a diffuser is a wise investment (and a great holiday gift). Check out my personal favorite here. Yep. Don't think it even occurred to me before kids, but candles are strictly for birthday cakes now!